Rangitoto: Exploring and Learning Auckland’s Largest and Most Iconic Volcano. We mention a lot in our blogs about the stunning views from Mission Bay and Kohimarama of Rangitoto, the large ex-volcano that stands beautifully out on the water for all to admire. Many visitors are curious about the island and want to know the history of Auckland most prominent volcano and whether or not you can visit it, and today, we are going to answer all those questions. Auckland is built on and around approximately 50 volcanoes that make up the Auckland Volcanic Field and Rangitoto is the most recent of them – and when I say recent, I mean it’s over 600 years old, and its last known activity was around 550 years ago. When New Zealand was colonized, the island was purchased by the crown and used primarily originally used as a source of basalt for the local construction industry. It was later developed with a wharf and rounds to source scoria and provide access for day-trippers, roads and a track to the summit were eventually constructed as well as a series of baches – some of which still stand on the island today. 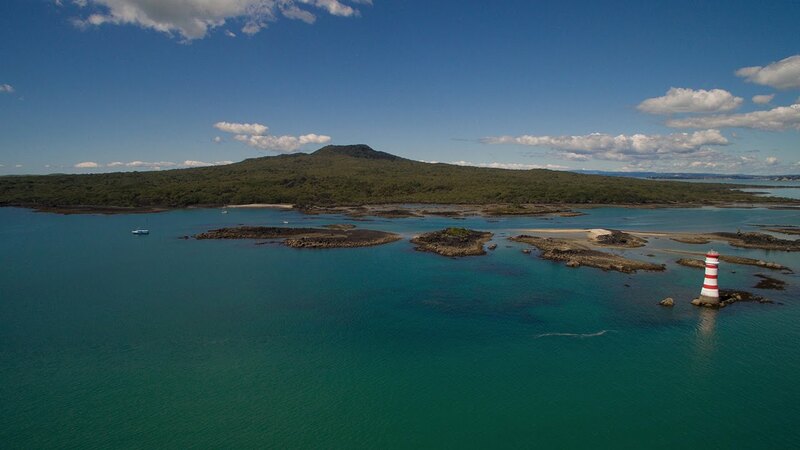 The department of conservation completed a significant restoration programme on Rangitoto Island and its neighbor Motutapu Island. The islands are now a safe pest-free haven for precious native flora and fauna to survive and thrive, so when visiting the island you must be sure to follow the strict guidelines to help with the efforts in preserving the biology on the island. Day trips to the island to explore it and its many walking tracks are extremely popular, and getting to the island is a breeze. Fullers offers trips to the island at different times of the day, from there you have a selection of options to explore the island including the summit climb, the most popular walk that takes you to the top of the island and features informative signs about the history of the island. There is also the option of a 4wd “road train”, a guided tour that takes you to the summit of the island that can be combined with the cost of your ferry ticket. Lava Caves are also located from the summit on the eastern side which can also be explored, the caves were left behind after the passage of liquid lava and can be exciting to explore, so bring a torch! So if your curiosity about the island and a sense of adventure is drawing you to explore, answer the call and make a day trip to Auckland’s most historic volcano.